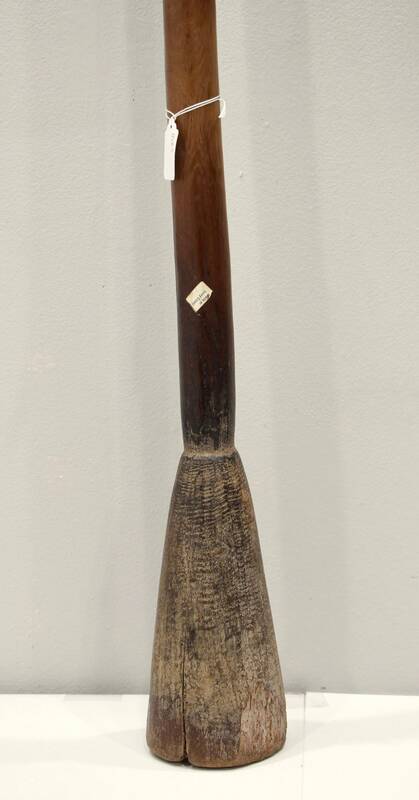 This is a unique African carved Pestle from Tanzania. A mortar and pestle is a kitchen device used since ancient times to prepare ingredients or substances by crushing and grinding them into a fine paste or powder. The mortar is the bowl, typically made of hard wood. The pestle is a heavy and blunt club-shaped object, the end of which is used for crushing and grinding. 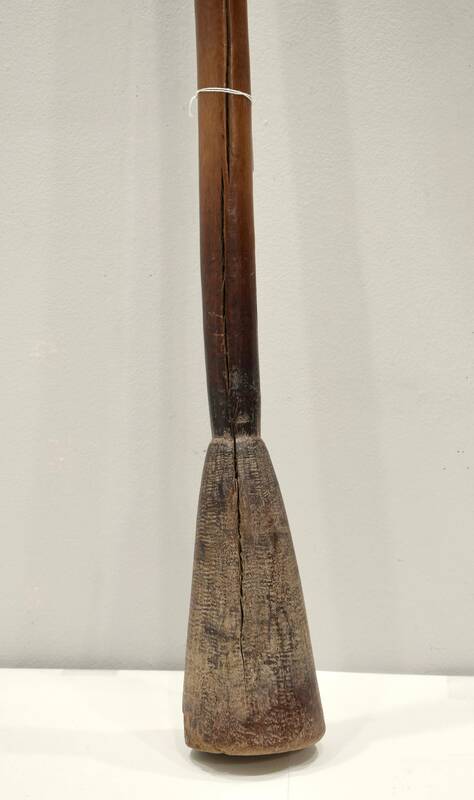 The Tanzanian artistic output is both traditional and contemporary, and functional. When finished, the carvings are polished and the wood quite literally shines. This a beautiful and unique old pestle that would be beautiful on display in your home or to add to your collection.